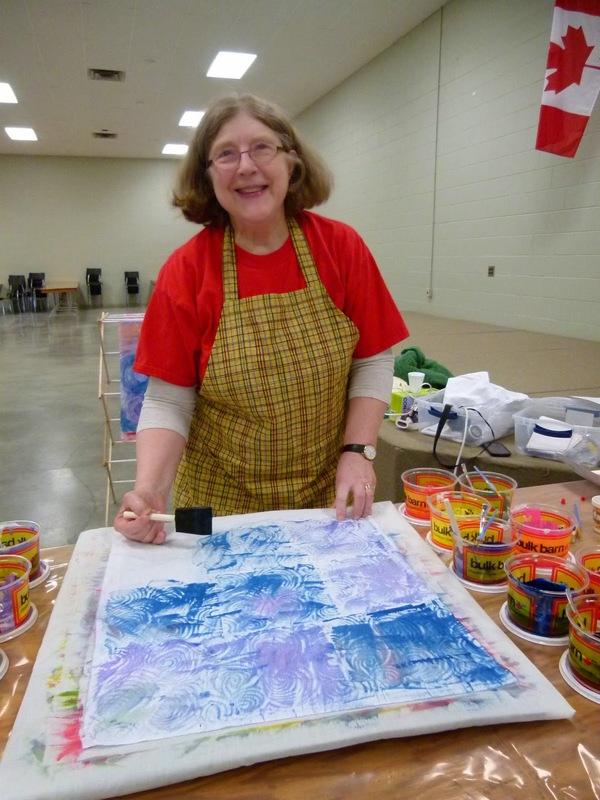 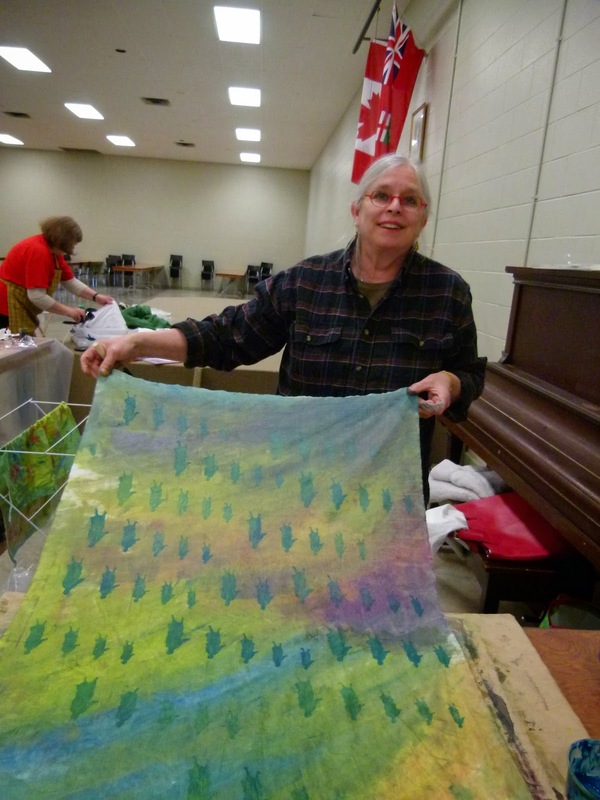 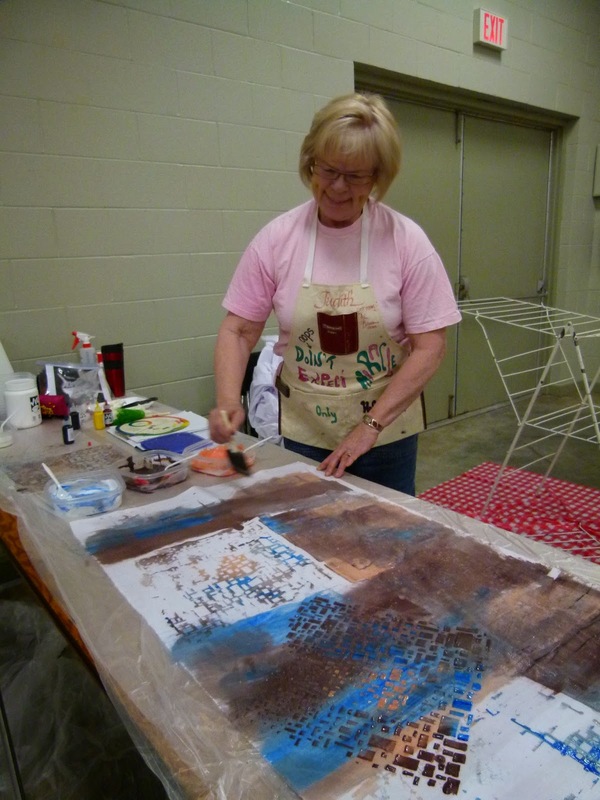 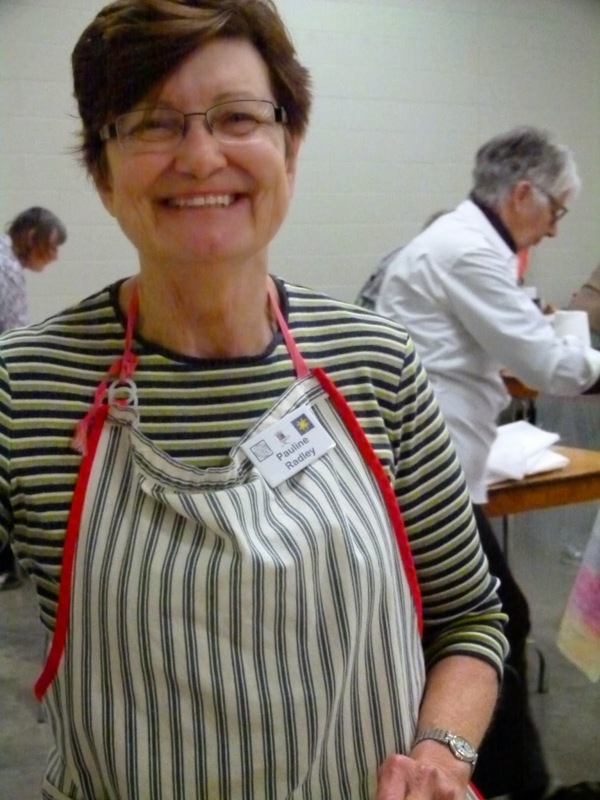 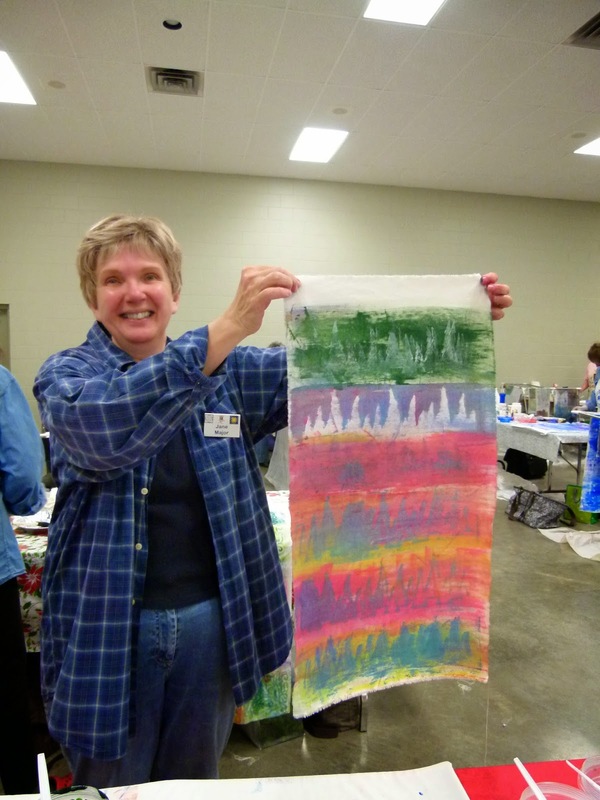 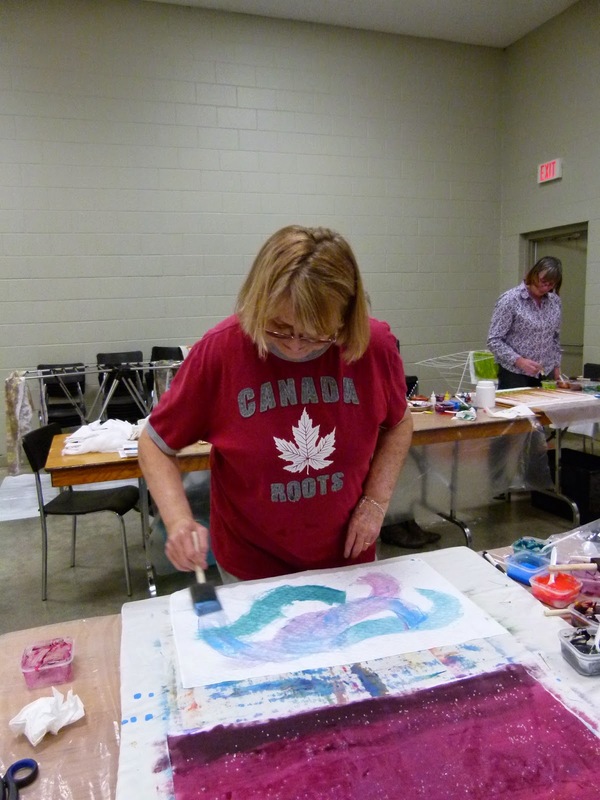 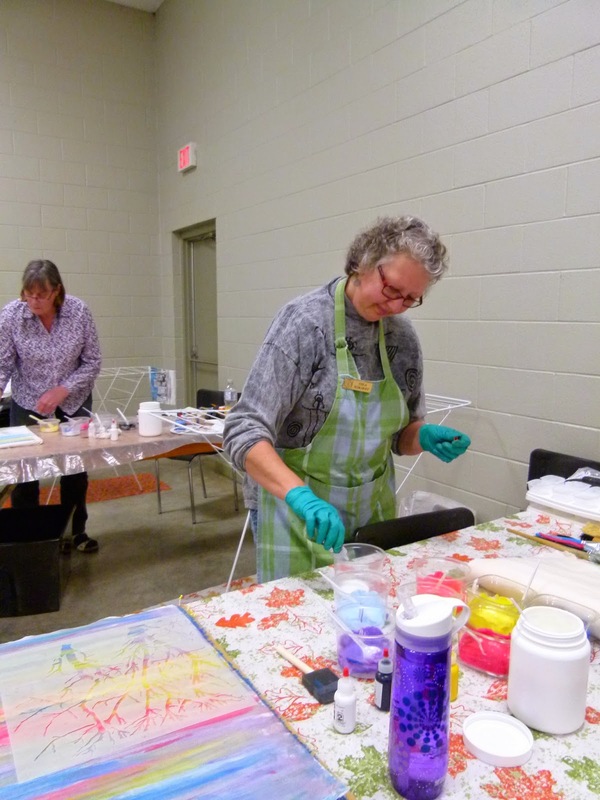 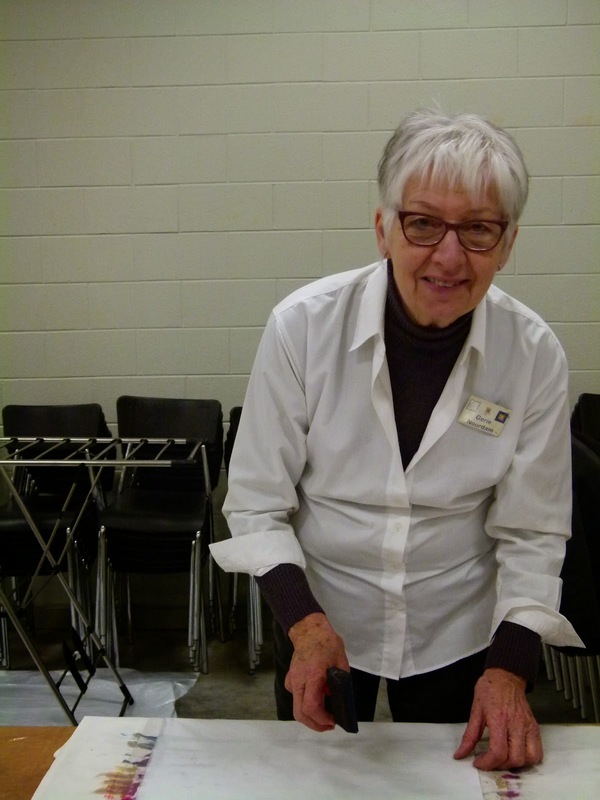 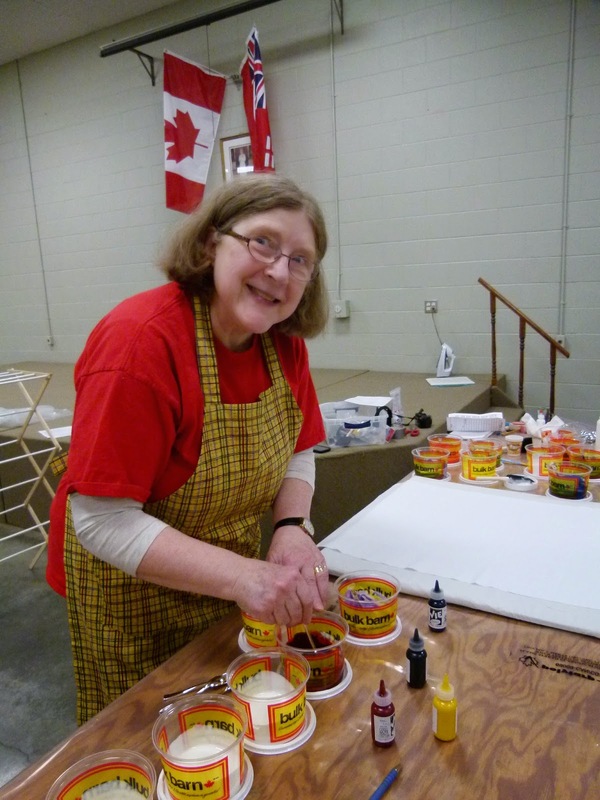 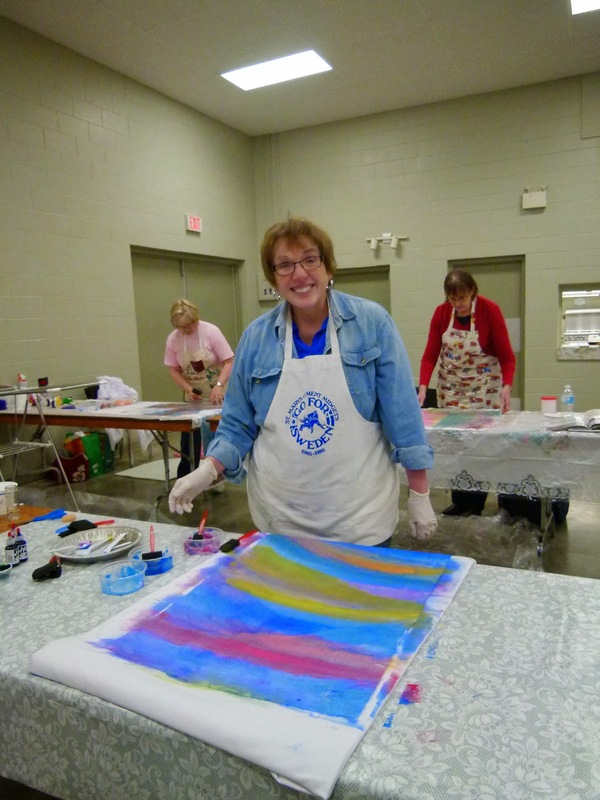 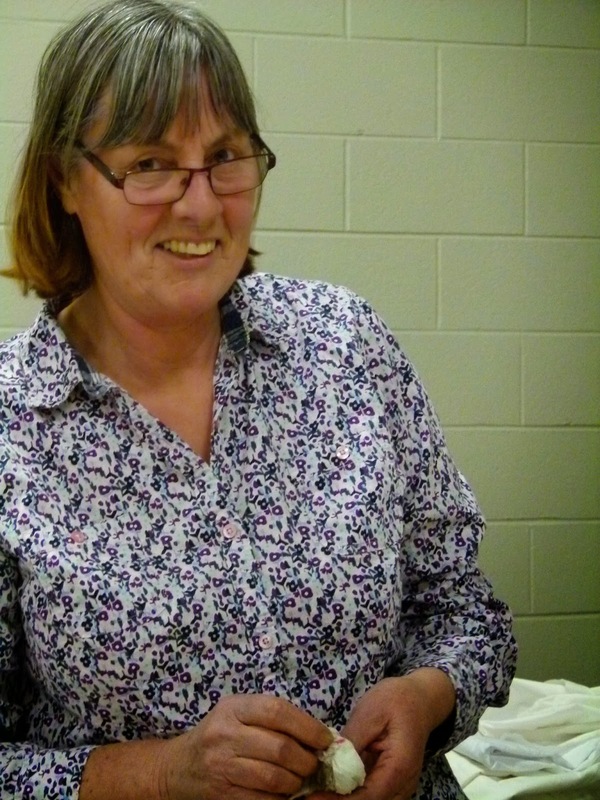 Fabric Painting with the wonderful Huron-Perth Quilters' Guild! 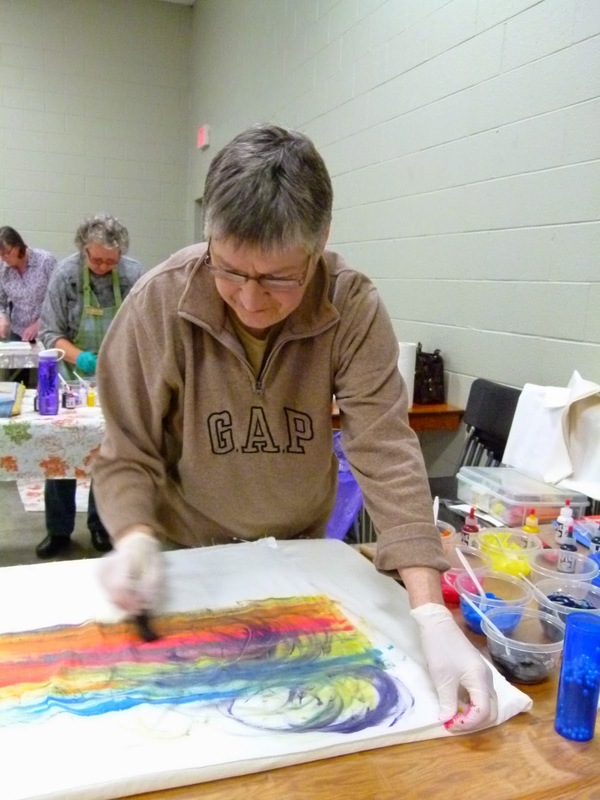 It was a completely perfect day of creation and play. 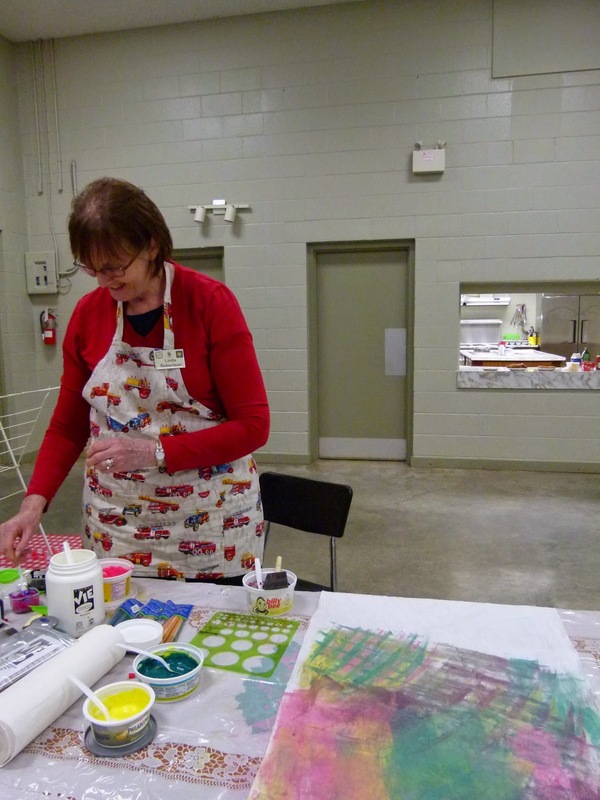 Everyone experimented and shared ideas, and we had long moments of absolute, peaceful quiet as we got lost in the joy of unfettered mark-making and colouring - it was kindergarten again! 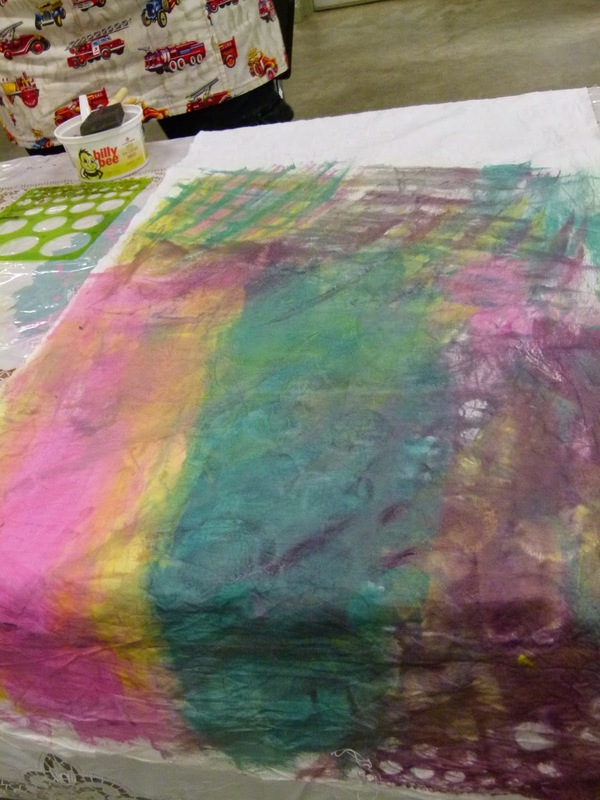 And just LOOK at what was painted! 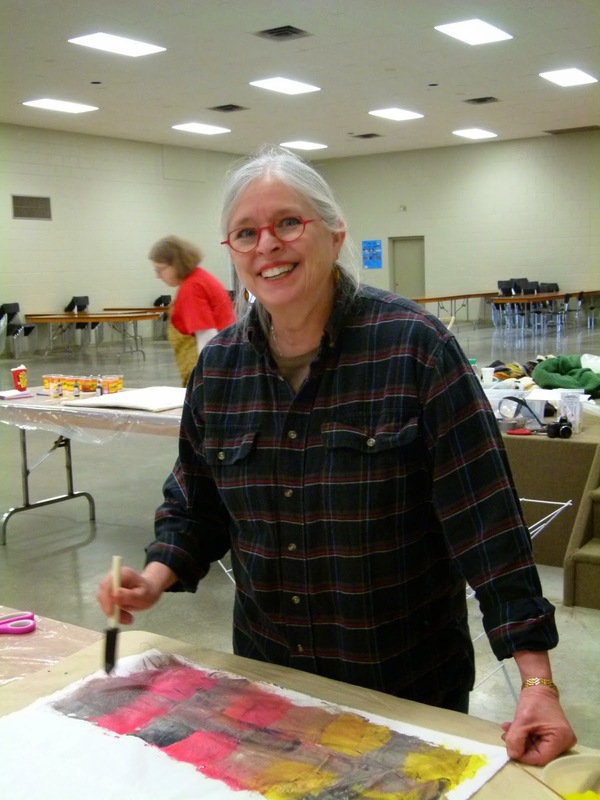 Thanks to Micaela Fitzsimmons for the invitation to lecture and teach, the warm hospitality and the tour of her amazing studio and work. 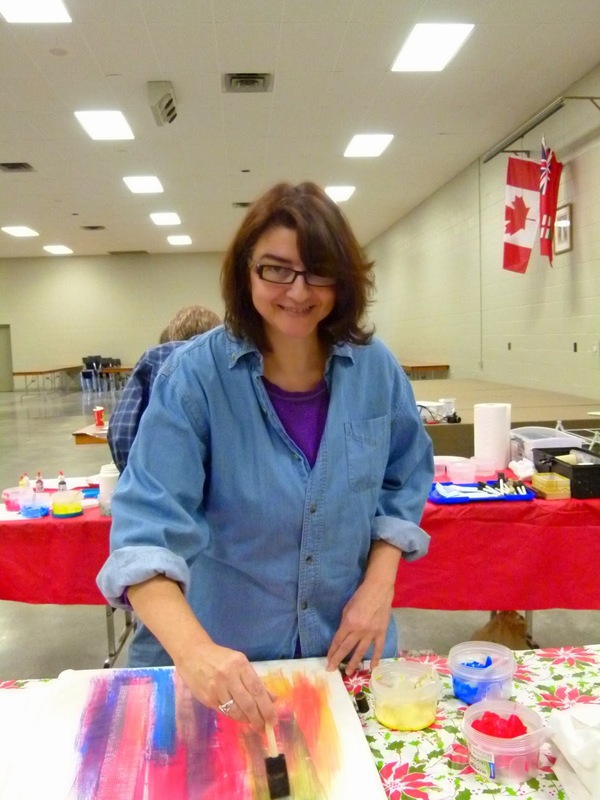 Thanks to all in the guild for the wonderful welcome and fun! 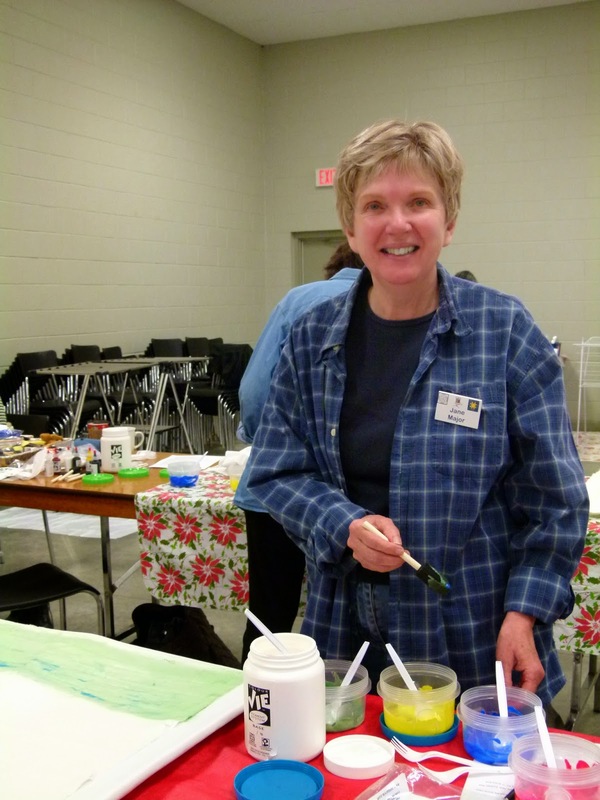 Happy creating to you all.